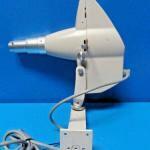 MARCO CP 2 EVERLIGHT CHART PROJECTOR – Good condition. Offers an incandescent illumination system that includes a thermistor for extended bulb life. 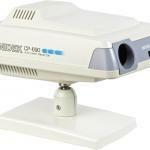 The Macro CP 2 Provides exceptionally even illumination over the entire chart field. 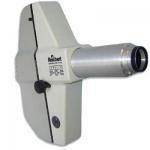 The variable focus barrel is designed to provide accurate testing of visual acuity at any distance from 10-20 feet. This one is meant to be mounted. The projector will accept all major slides, including Marco’s Adult, Child, and HOTV Recognition Slides.